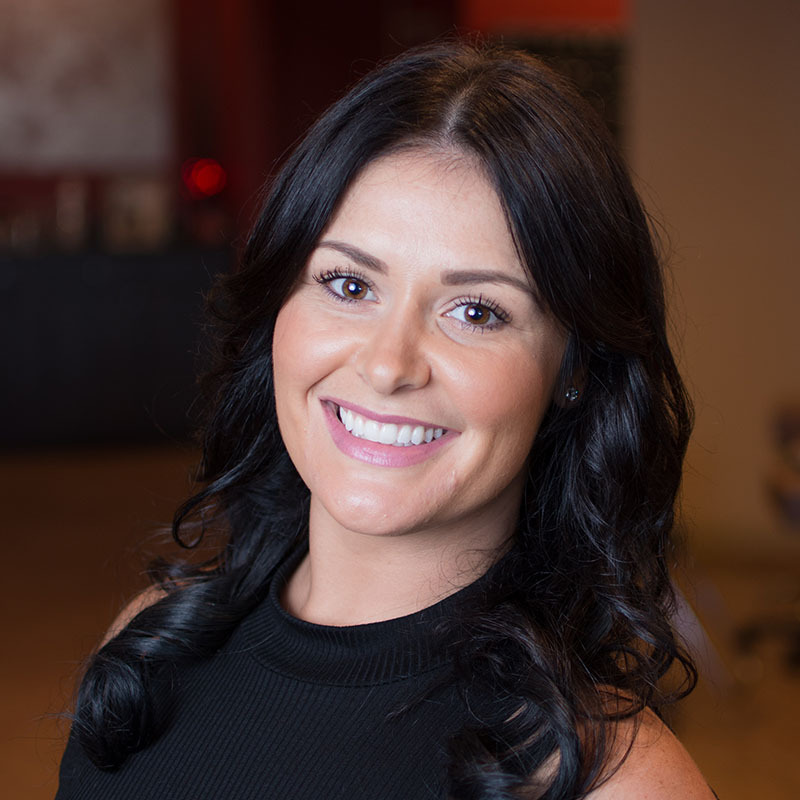 Chelsea has been in the salon industry for 7 years, and brings a wealth of experience to Catarina’s. She is often the first person to greet you on arrival to the salon, and along with the stylists, ensures that clients receive excellent customer service throughout their visit. In addition to being amazing and cheerful at the front desk, Chelsea supports and motivates the team, assisting in many ways as she is a licensed hair stylist and makeup designer. Chelsea specializes in makeup consultation and application. You can chat with her about our Young Blood Makeup line, and/or schedule an appointment to have a lesson with her. She does makeup for many of our Weddings on and off location. When she is not at the salon, Chelsea enjoys traveling, taking day trips, being outdoors and is an avid spin class girl! She loves spending time with her family and her dog!